2016 marks PADI’s 50th Anniversary, and to help us celebrate this landmark event we’re calling on PADI Professionals and divers to share their favourite diving moments from the last 50 years. Enter a photo, video or story today and you could win one of these incredible prizes: an Aqua Lung CORE Regulator, a GoPro HERO4 package, a Suunto D4i Novo Dive Computer, Vivid-Pix photo editing software or a PADI eLearning Gift Pass/Gift Bag. The contest is open now and will close for entries on 10th July 2016 (23:59 UTC). Winners will be announced on 25th July 2016. Please visit the contest page for full terms and conditions. Make sure you get your customers and student divers involved, too! They can share their top underwater memories or simply tell us what being a PADI diver means to them. Top tip: Why not offer some themed events (like local marine life spotting or photography days) to help your students experience and capture some incredible moments under the surface. Make it easy for everyone to enter the contest by setting up a computer and connection for them to make use of e the post-dive briefings. A photo says a thousand words. Submit a photo which showcases your favourite diving moment to win a GoPro HERO4 package, PADI eLearning or Vivid-Pix photo editing software. Manage to get your favourite diving moment on film? Let us watch it too! Submit your video to win an Aqua Lung CORE Regulator, PADI eLearning or Vivid-Pix photo editing software. Didn’t have a camera with you? That’s OK. Write about your favourite diving moment in 150 words or less and win a Suunto D4i Novo Dive Computer, PADI eLearning or Vivid-Pix photo editing software. …surprise us with your most unusual diving destination! We all know that a photo is worth a thousand words, but a great video can leave one speechless! This is your chance to share with us and the diving community just how good your local diving spot is. Whether your local dive site is in the diverse waters of Australia, the tropical Bahamas or the surprise-packed United Kingdom, we want you to share it with us. Entries must be submitted via the PADI Facebook Page and should include video of between 60 – 90 seconds. To be able to enter, your video will need to be hosted on a video hosting website such as YouTube or Vimeo. Only one entry is allowed per person. Entries open November 3rd, 2014 and close on November 26th, 2014. The winner will be chosen by popular vote by December 10th, 2014. There will be three great prizes, with one winner and two runner ups receiving scuba diving gear from our friends at Huish Outdoors. Full prize details will be available soon. Manuel Bustelo submitted his video from Ibiza, Spain and showcased a different side to the Island that it is commonly known for. You can view and be inspired by Manuel’s 2013 winning video atwww.vimeo.com/79833995. Contest Terms & Conditions and Prize Details available on the contest tab on the PADI Facebook Page. 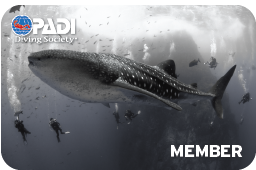 We’re looking for a great photo to be featured as the 2015 PADI Diving Society membership card. The winner will get a certificate, a shout-out on the PADI Facebook Page and their image shared with more than 175,000 PADI Diving Society members worldwide (and over 1 million Facebook Fans). Top Tip: Why not run a special PADI Digital Underwater Photographer course to inspire divers to improve their camera skills and potentially snap the winning shot! 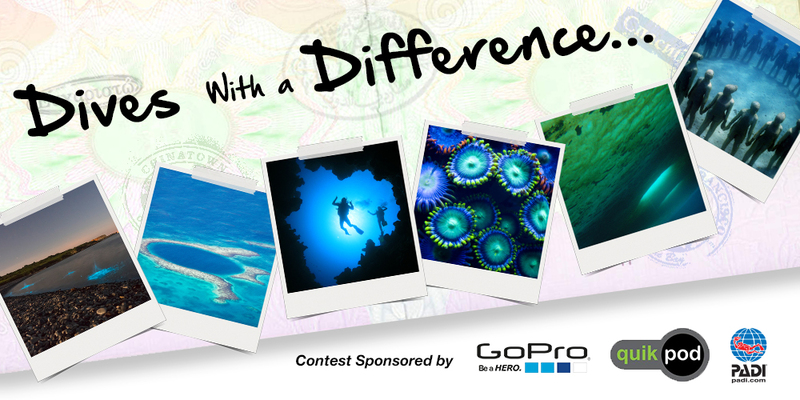 Visit the PADI Facebook Page contest tab – the contest opens for entries on the 26th August 2014 (00:00 UTC). PADI Staff will narrow down all entries to a handful of finalists after the first stage has finished on 14th September. PADI Facebook Fans will then be able to vote for the final winner between 17-26th September. The final winner will be announced on/around 6th October 2014.